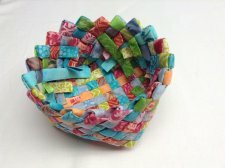 "I had fun last weekend making some little woven baskets out of 2-1/2" batik strips. These baskets are often made out of paper such as magazines, newspaper, maps, potato chip bags etc. but I wanted to use fabric. 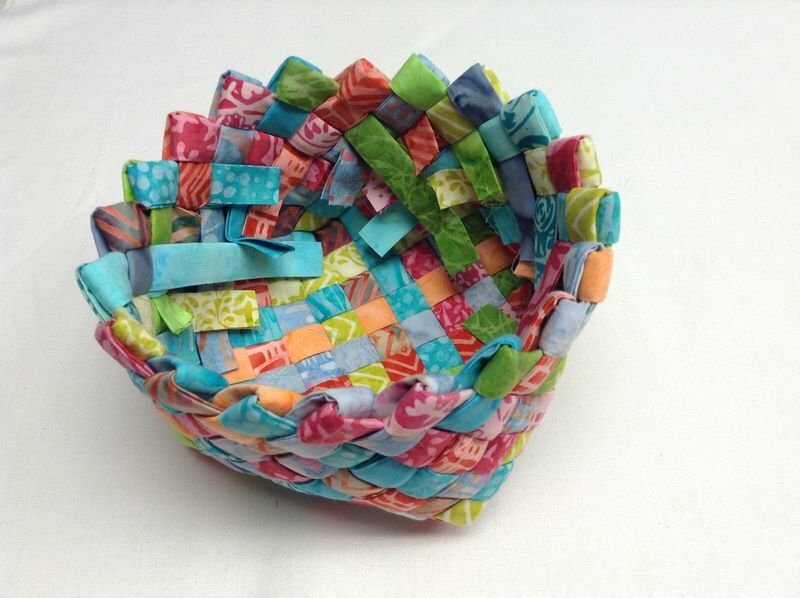 I used interfacing to stiffen the strips and make them easy to weave." 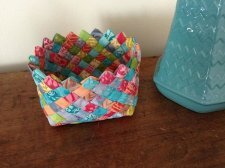 Be sure to take a look at Terry's site, it will be worth your while to look around through her site archives for projects and resources you can't find from her front page. Enjoy!